At first it was just a group of guys working together at 3PAR which was a computer storage startup in Fremont. Startups are pretty stressful so we got together regularly at work to play poker and smoking a cigar during the games seemed like a natural fit. Then we started hanging out to smoke cigars and occasionally would play poker. As we got more into cigars we got more serious about cigars and even started going to The Big Smoke in Las Vegas. It had transformed as something to do when playing poker to a serious passion. We created our own HERF meetings where we would do blind tastings of different cigars to expand our horizons. We were doing a lot of driving up to Pleasanton or down to San Jose to enjoy the cigar lounges there. It didn’t seem right that the 350,000 people of Fremont (with Union City and Newark thrown in) didn’t have a decent cigar lounge. 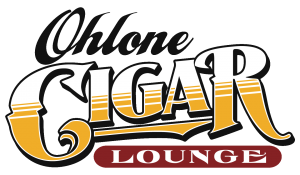 So we had the idea of getting together and opening a new Cigar Lounge in the middle of Fremont. We would make it a place we would want to hang out in. Nice leather chairs, big screen TVs, no lounge fee and a selection of premium cigars. It wouldn’t just be the big name brands like Romeo and Juliette but also bring in the smaller boutique cigars that had exceptional flavor that you have never heard about. It wasn’t easy. We were a group of engineers that knew how to build computer systems not how to run a retail shop. but we got help from others in the industry and listened to our customers and opened on April 20th in 2012. It is amazing how well it has gone. The customers are the key to our success. The number one thing I hear from newcomers is how friendly the customers are and welcoming an environment it is. While some cigar lounges have certain cliques, we have a customer base that breaks those stereotypes you see at other lounges. Whether it’s your first time in or you come everyday, our staff and customers welcome you in with a smile. Our welcoming customers make the lounge a special place to be at, and it’s often referred to as a community center for cigar smokers! Before we opened our doors, we talked to many local cigar smokers and asked what specifically would they want to see in a new shop/lounge and what improvements could be made over other lounges they have visited. The #1 answer was “clean air”. We made air purification a priority at Ohlone Cigar Lounge. We have 5 separate systems constantly working to make sure our air is constantly being cleaned or exchanged and smoke doesn’t linger in your eyes. We also heard a lot of complaints that some lounges were known to turn off the lights and ask customers to leave right at closing time. While we understand the business side, we felt a need that if customers are watching a local sporting event on TV, we will keep the lounge open until the game is over! You should never feel rushed to finish your cigar that you bought from our store and you should never be asked to leave before you are finished watching the game.